The first AppsEvents Summit held for 2018 was in January in Albany, GA. It was two days full of inspiration for me as a presenter. I always love visiting a school or district that is beginning their journey with G Suite for Education. Especially, when participants are as friendly and eager to learn as the educators from Dougherty County Schools. I was inspired by their level of engagement and participation. 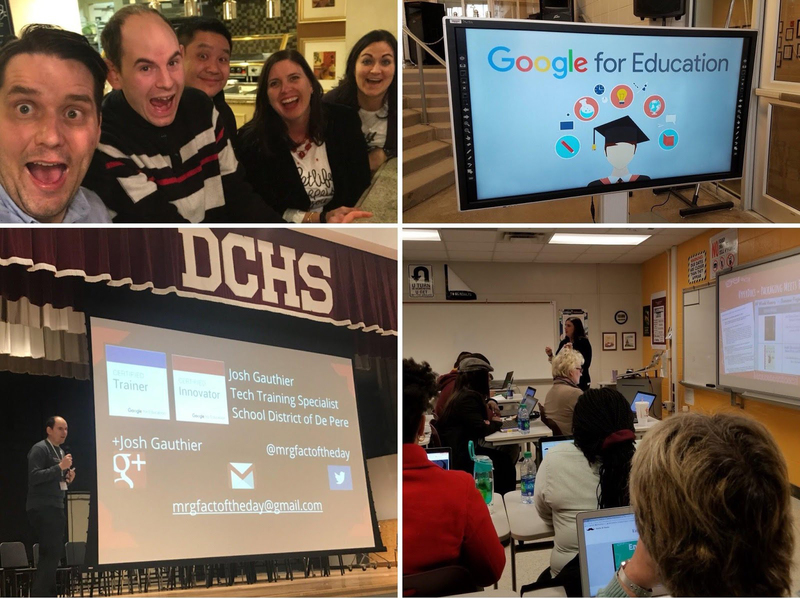 Many attendees started connecting ways they could implement G Suite tools in their classrooms the following week. I absolutely love to see the wheels turning and light bulbs ignite. These are the teachers that will become the “change agents” in their school. After presenting sessions on a couple of the basics like getting started with Google Classroom and how to get organized with Google Keep, I shared how to use Google Sites for student e-portfolios and building your teacher website. Listening to a few of the teachers express their interest with continuing to build their website in order to improve communication with students and parents was encouraging. The two-part HyperDocs session was full of educators learning how to fuse pedagogy and technology into an engaging lesson for students. Educators discussed their plans to transform a current lesson into a HyperDoc and try new tech tools with their students. As the Summit wrapped up, I presented one last session titled Following the Google Bricked Road: Your Path to Google Certifications. I feel compelled to share this topic because following my path to certification is the reason I fell in love with G Suite for Education, and why my passion for empowering other educators is like a burning flame. I introduced participants to the Google EduTraining Center where they can begin their own self-paced journey to earning their Google Certified Educator Level 1 & 2 certifications. I explain the process and the resources available in order to be successful, as I retell my personal experience throughout. In our school system, we only had one Instructional Technology Coach for the entire district. I felt the need as the Media Specialist on our campus to serve as the “point person” for our faculty as they were starting to implement G Suite in their classrooms. Along the way, I became intrinsically motivated and realized how powerful these tools could change the culture in our classrooms. I began sharing not only with my staff, but other media specialists in the county, and then with colleagues from surrounding districts. As I exhibited the courage to take the exams, which by the way, I am not a test-taker; I discovered I actually did have a brain AND a heart for Google. (Please excuse my Wizard of Oz references, as they relate to my certification presentation.) Now, I wanted to share it with the world which led to my desire to earn my Google for Education Certified Trainer certification. Over the past year, I have served many schools, spoke at several conferences, created online courses and administered them. I am always thrilled when I have the opportunity to share, but the Albany Summit was especially uplifting. Those that attended my certification session stopped by on their way to the closing session expressing how I actually inspired them to take the next steps. Many of them had already attended the AppsEvents Level 1 Bootcamp prior to the Summit, but now they had this spark that seemed to radiate as they were leaving. This is why I absolutely love what I do! Their drive and excitement are encouraging because I know this will only transcend into the classroom. The real winners through all of this are the students. Of course, not only were the attendees inspiring and showed tremendous hospitality but the AppsEvents team I had the honor to present with, continue to teach me new things and help me grow as a trainer. Even though we may only physically see each other a couple times a year at various summits, they are like family. They are my professional learning network family. Every time I have the chance to present, I always promote finding your “tribe” on social media, like Twitter. I learn so much more from these valuable educators on a daily basis, more so than sitting in a traditional professional development. I know the AppsEvents team are individuals I can count on to help me solve problems, answer questions, or offer feedback. I look forward to more opportunities to present with AppsEvents in the future. As a presenter, my hope is that attendees return to their classrooms empowered, but when I leave feeling inspired I am encouraged to continue as a lifelong learner. Hollie is a Google for Education Certified Trainer and enjoys sharing her passion and mission with others. 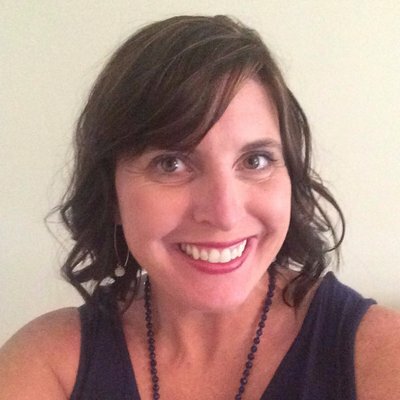 After fifteen years of serving as a classroom teacher and Media Specialist across the state of Georgia, she is an advocate for student engagement. Hollie’s mission is to educate and encourage users of information and technology with the latest digital resources, like G Suite for Education, to maximize creativity, collaboration, communication and critical thinking skills through thoughtful pedagogy and infusing technology. Hollie believes professional development empowers educators to transform learning, ignite change, and break down the walls of their classrooms while providing authentic learning experiences and highlighting student success.